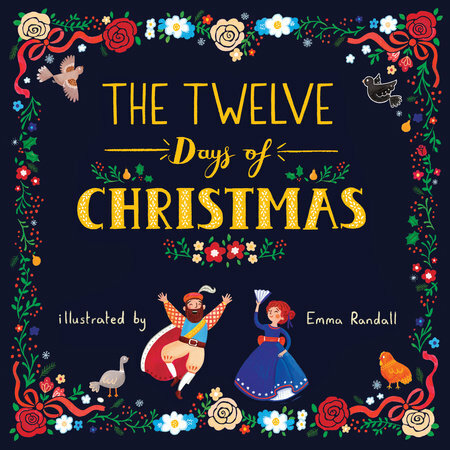 How Do I Come Up with the Holiday Guide for Grandparents? 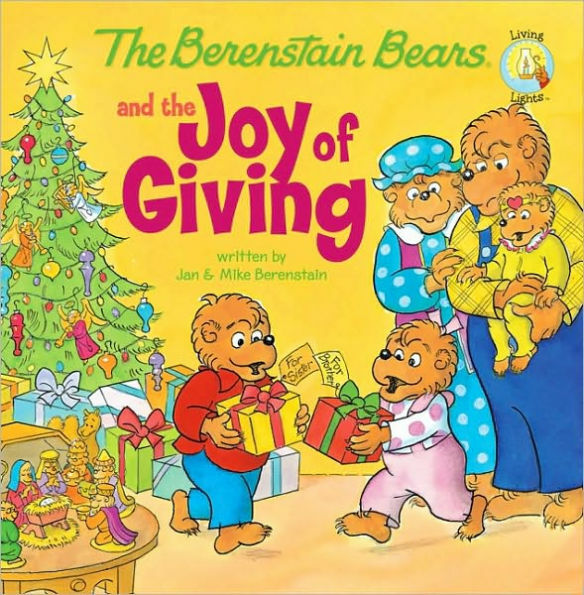 This article features toys that probably won’t be on your grandchildren’s lists but that you should consider giving anyway. Most are in the affordable range and are not bank breakers. My Hot Toys article focused on toys that your grandkids may ask for. This is a list of toys that YOU and your grandchild will like too. Most of all, many you can enjoy together. There are lots of holiday toy guides this time of year but mine is unique. This is a guide from a grandmother’s perspective. It is my HONEST opinion - not just corporate PR. Most of these pictures are mine - not stock photos. Some are less than perfect with other stuff in the background. But they portray the real deal. If I say "Ages X and up, up, up" I am referring to generations - meaning two or more generations up will enjoy playing with this item. 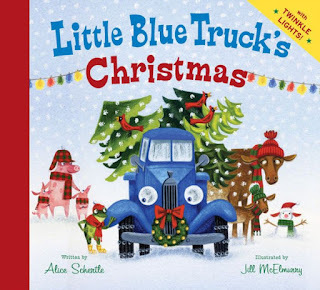 First up is a classic toy for toddlers and it is the giveaway for the gifts Grandparents will Love to Give List. See the giveaway details at the end of the post. We all remember our kids playing with these cardboard building blocks and they are still fun. I particularly like this one because in addition to large motor skills it teaches language skills. Rather than just a shape or color, each brightly colored block features a question. The Tot Tower is a winner of the Oppenhein Blue Chip Classic Award. By eeboo. This set is very cute and will provide lots of play opportunity with the Peppa Pig characters that young children love. 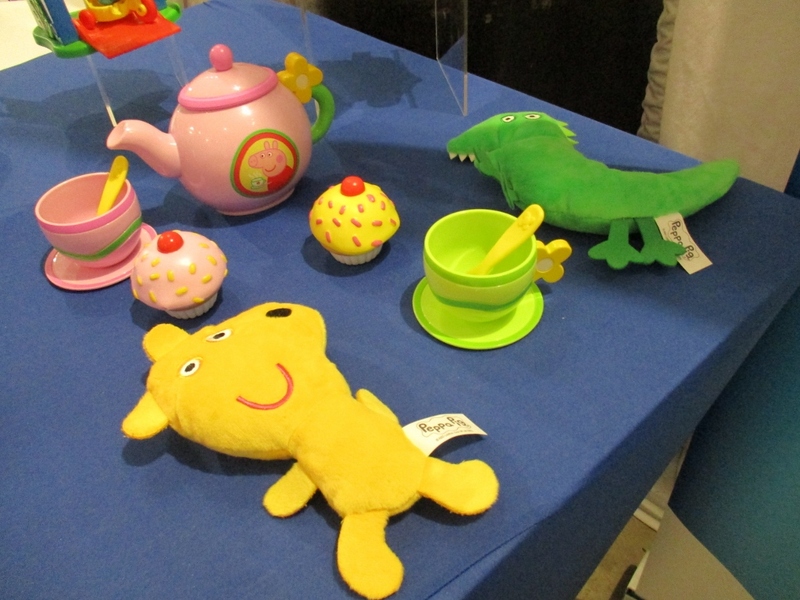 It has 11 pieces including teapot, cups, saucers, teaspoons and soft Teddy and Mr. Dinosaur characters. Kids love the pouring sound the teapot makes. 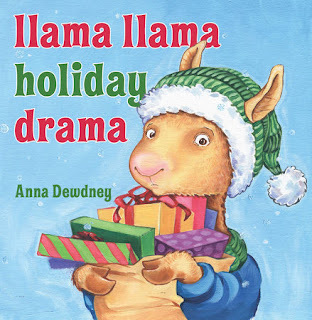 Five star rating at Amazon. By Jazwares. 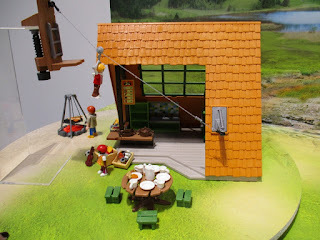 This playmobil playset is very detailed and has lots of moving parts to play camping with including an archery set and a zip line. I love the zip line. The lodge is fully equipped inside and outside. It even has an outside shower and campfire. This Playmobil playset will provide hours of imaginative play. By Playmobil. This is a pretty cool item for kids to learn about solar power. You cast shadows or let the sun shine on the solar panels to get the rover moving and control its direction. This is a fun toy for learning STEM concepts. Although recommended for 8 and up, you can play with a younger child who is interested in science. By Educational Insights. This is a small gift item that you can’t go wrong with. 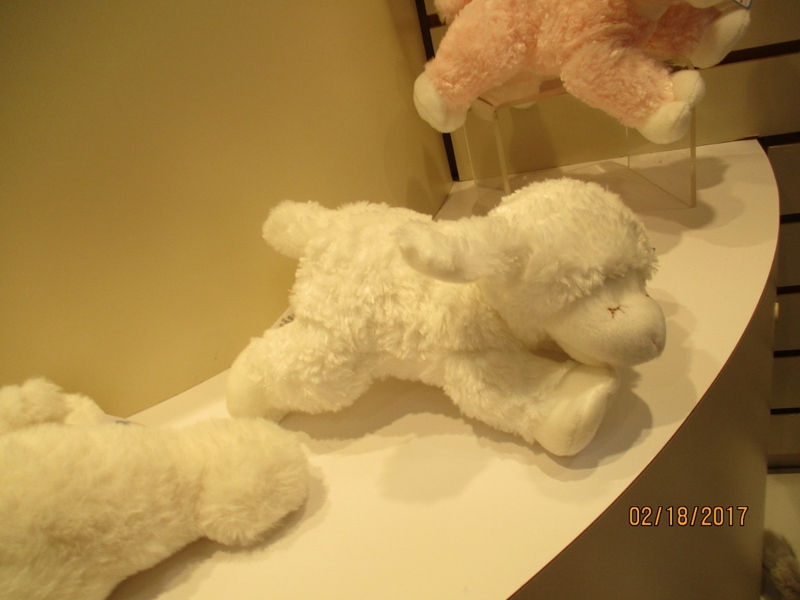 This cuddly lamb is also a soft rattle. It is small and may be that special item that an infant grabs onto and cherishes. At 4 1/2 inches, it is small enough for the youngest baby. Super cute. Highest quality that you expect from Gund. 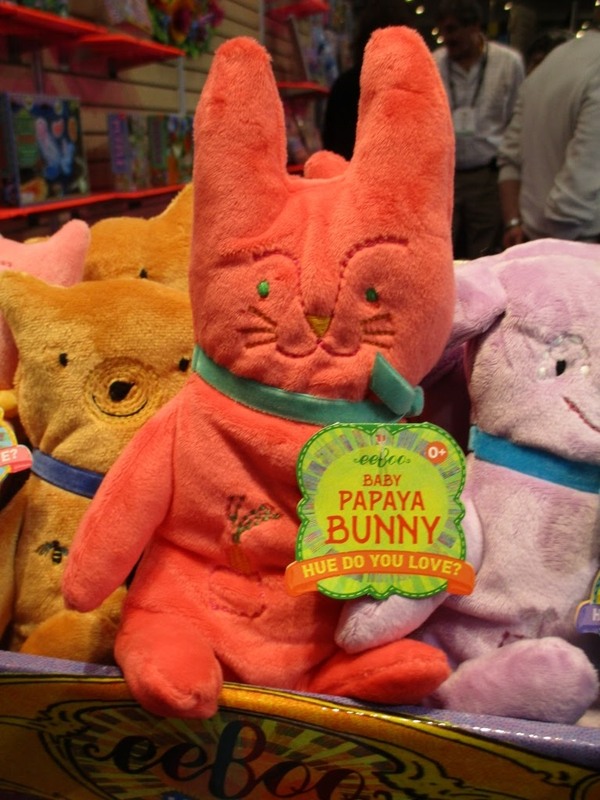 If you prefer bright colors, this bunny is an excellent choice. The stitched features, soft velour, crinkly sound and 7 ½ inches length make this an excellent choice for the youngest baby. By eeboo. These snug up dolls come in boy and girl versions. They are soft bodied – great for snuggling - and have safe embroidered eyes and facial features. The clothes are also sewn on and can’t be taken off. They are 11.5 inches tall and washable. This is an excellent first doll for a baby to play with. By HABA. 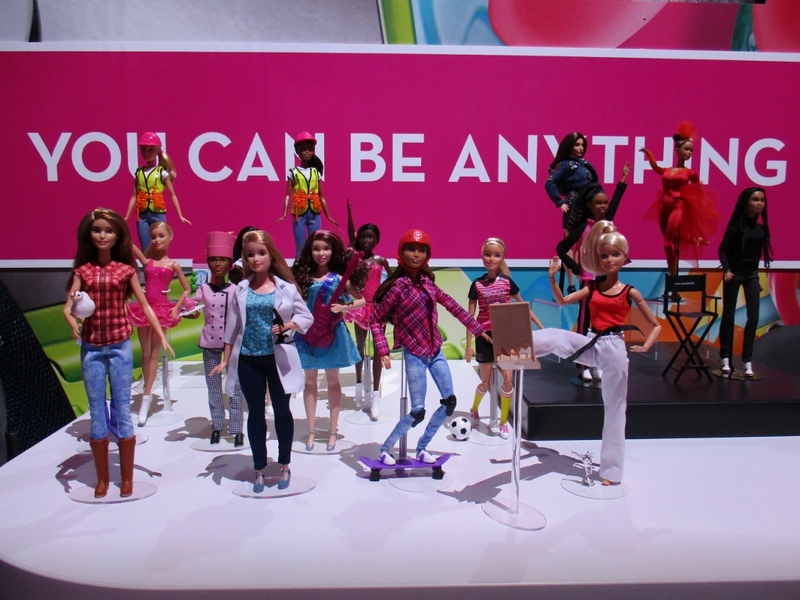 Barbie dolls continue to be the most popular dolls with little girls and Mattel continues to innovate with this brand. My favorite Barbie is the “You Can Be Anything” line. The dolls are dressed in outfits representing various careers – both traditional and non-traditional. Farmers, soccer players, pediatrician, scientist, ballerina and more. There are also playsets corresponding with the dolls. By Mattel. I am all about playing games and putting together puzzles with grandchildren of all ages and so here are some of my favorites to play with every age… Start young and never stop playing. 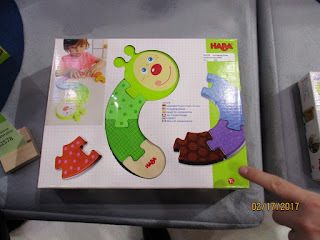 This cute caterpillar puzzle can be put together with fewer pieces to start and then more are added as a toddler gets more advanced. 13 pieces in total. 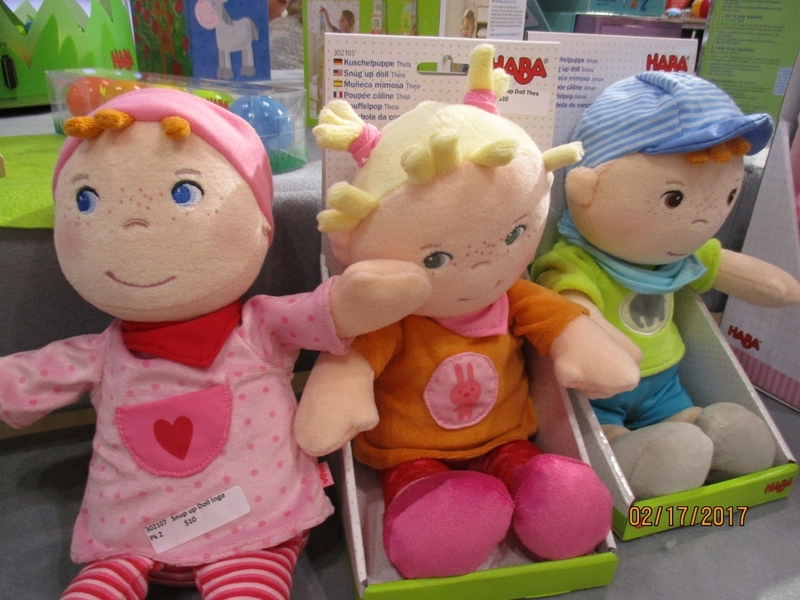 HABA makes high quality toys for infants and toddlers. It is a brand to look for. By Haba. 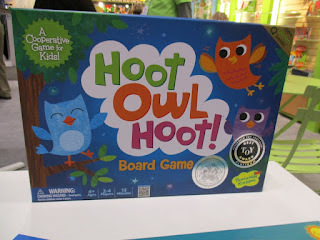 Hoot Owl Hoot is not new but it has won numerous awards and is still a best seller. This is a cooperative game in which players work together to win the game rather than against each other. Players try to get all the owls to the nest before the sun rises and then everyone wins. By Peaceable Kingdom. 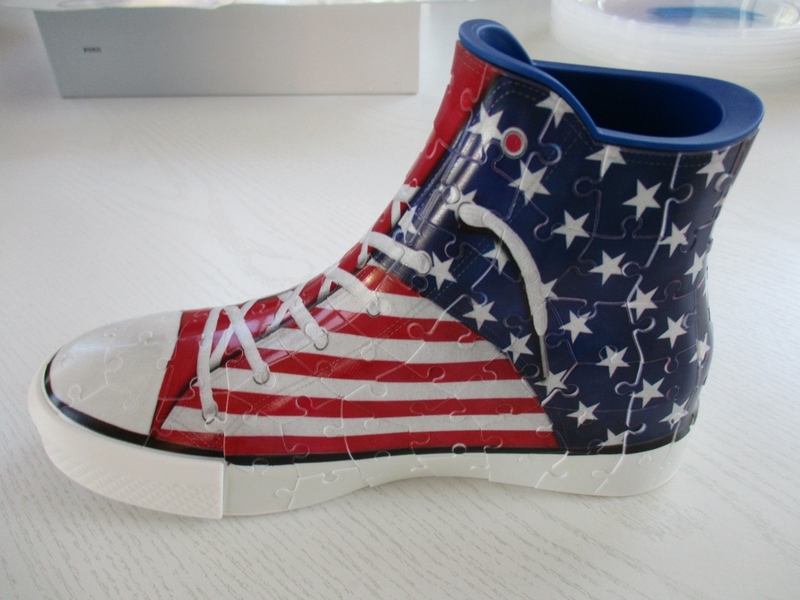 There are 108 numbered plastic pieces that must be put together in order. It is fun to put together and fun to keep as a pencil holder. The ages on the box says 8 - 99 and that is about right. 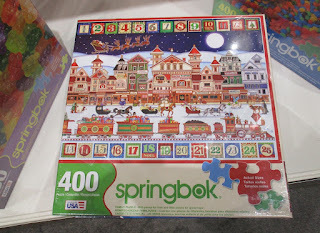 Once the puzzle is put together there is a plastic insert which allows the puzzle to be useful as a holder. Gets an intergenerational A+ for working with a child under 8. Grandchild tested at our place. By Ravensburger. This game is based on the popular Weird School books and it features well known characters in the books. It is fun and educational. Each player has his/her own sentence game board. In turn you draw from the deck of cards and try to complete sentences on your individual game board. In addition to laughs galore, the game develops math, reading and strategic thinking skills. It is a perfect grandparent/grandchild game to play with elementary school age children. 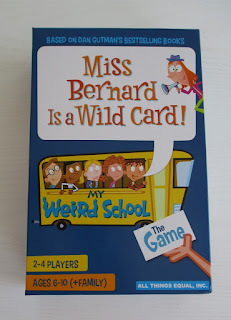 You will be the cool grandparent who knows about the Weird School books if you get this game. By All Things Equal. This is a classic card game where luck and strategy meet to create surprise winners. Kids who love emojis – I personally know some – will love this version. 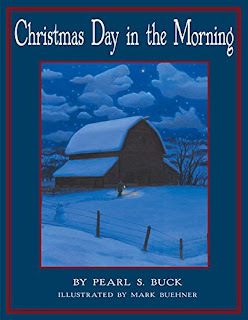 Priced under $10 it is a perfect stocking stuffer, travel game or grandchild visiting game to have on hand. By Mattel. I apologize for the poor picture. The Uno Emoji game was part of a bigger display when I took this picture. You may have an extended visit with the grandkids over Christmas vacation and a holiday themed family puzzle can be just the thing to hit the spot. 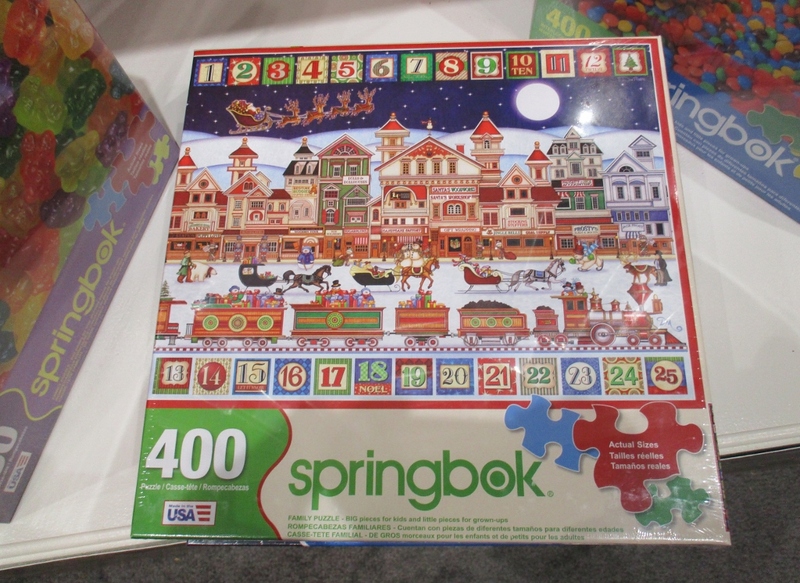 This family puzzle features pieces in three different sizes designed with large pieces on the outside for the young ones, and small pieces on the inside for more experienced puzzlers. We completed one of these family puzzles with our grandson when he was younger and it was a lot of fun to work on together. By Springbok. Once kids reach about eight years old they are much harder to shop for. Their lists have more things like video games and stuff you never heard of. Here are a few other options. And these may be great intergenerational fun. You can build 8 different models of construction vehicles that are controlled with a remote-control unit with this set. There is a step by step guide for building the machines and the process has been simplified so that younger children can build them with some help. The set comes with a 64 page manual to guide you through the building process and it also provides a STEM learning opportunity with information about how they work and physics concepts of force, torque and simple machine principles. 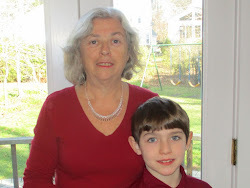 This is an excellent grandparent/grandchild project to work on together. By Thames and Kosmos. This LEGO set just came on the market on November 1st and it instantly became the number 1 best selling toy. Grandmothers especially love it. They are lighting up my facebook page declaring their purchase - even for pretty young grandchildren. We grew up with the excitement around space exploration but the first we knew that women had anything to do with it was in 1983 when Sally Ride was the first female astronaut to go into space. Last year, with the Hidden Figures movie we learned about the key role of black women. 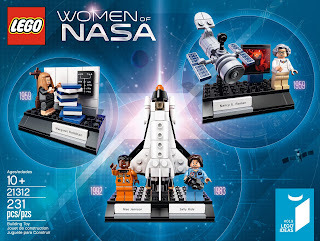 Turns out lots of women have always been involved with the space program. This set is in the LEGO IDEAS line of building sets suggested by LEGO fans. 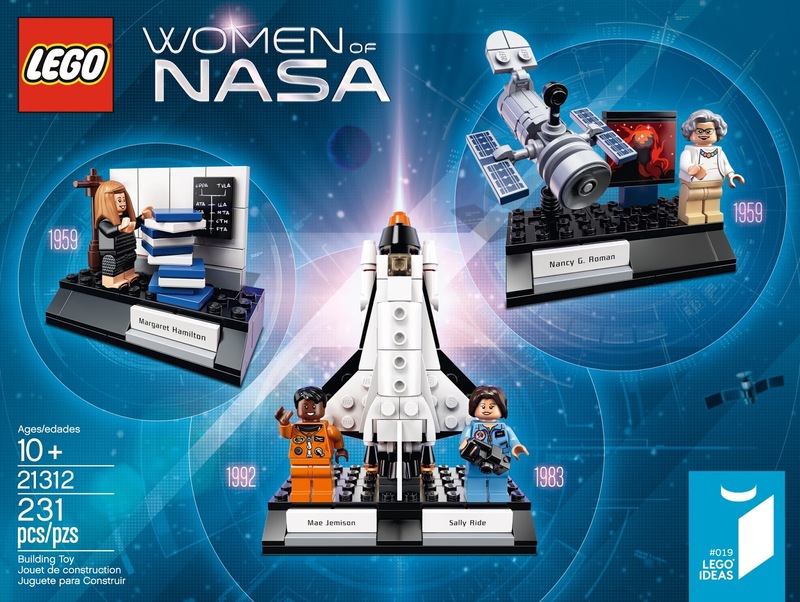 It features minifigures of 4 pioneering women of NASA— astronomer Nancy Grace Roman, computer scientist Margaret Hamilton, astronaut, physicist and entrepreneur Sally Ride and astronaut, physician and engineer Mae Jemison—and 3 builds illustrating their areas of expertise. Interested in encouraging girls to pursue STEM careers? This is a must have. Bonus - very reasonably priced! 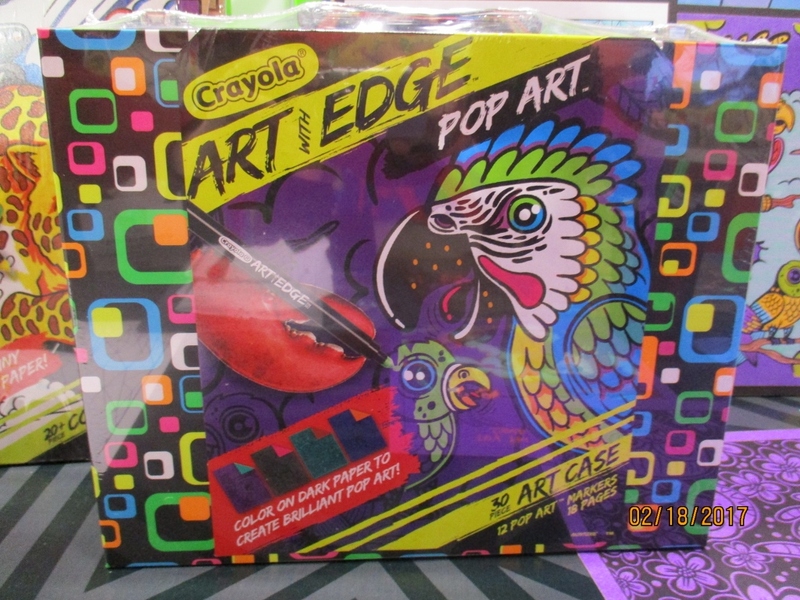 Crayola’s Art with Edge line is aimed at Tweens and Teens but should also be popular with adults as the coloring craze continues. It is a line of wacky, wild coloring pages. 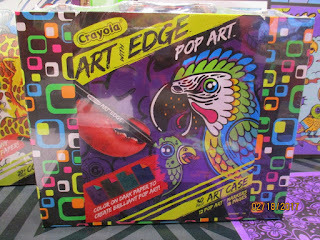 This new set called “Pop Art” features 18 dark colored pages that “pop” in bright colors when colored with Pop Art colored markers. I thought these made beautiful finished products and should be a nice gift for the “difficult to buy for” age group. By Crayola. One lucky winner will receive a Read to Me Tot Tower by eeboo. You can have two entries by doing both. Deadline to enter: November 25, 2017 at midnight. This item can be sent to US addresses only. You can find all of these items at Amazon. Click on the links below to go to Amazon. 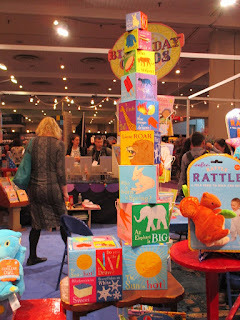 I go to toys shows throughout the year and see thousands of toys – yes literally thousands. I take over a thousand pictures plus notes when I see something that I think I might like to recommend. In the Fall I go through all of this and make a list of potential items to be on my lists. Then I check the prices and the reviews. If something on my list is getting awful reviews, it is scratched. After all I saw it on display and perhaps demonstrated, but I am not a child playing with it. 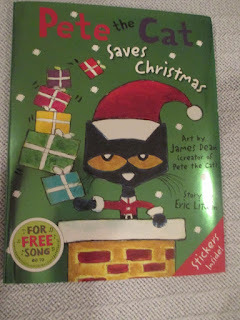 There are lots of holiday toy guides this time of year but mine is unique. This is a guide from a grandmother’s perspective. It is my HONEST opinion - not just corporate PR. I try to recommend something for everybody. We have young grandchildren and older ones. Boys and girls. Some grandparents are asked to buy the big ticket items and other grandparents make modest gifts. We all want the same thing. We want our grandchildren to enjoy our gift. The toys on this "Hot Toy List" are being promoted on the TV shows that your grandkids watch. Some are probably already on their holiday wish lists. Although the prices on some of them are high due to licensing and advertising costs, they meet my approval because I think they will have reasonable play value and will not quickly be ignored or broken. Most pictures are mine taken at the toy shows or in my home. They are not stock photos. This is why some are less than perfect with other stuff in the background. But they do portray the real deal. 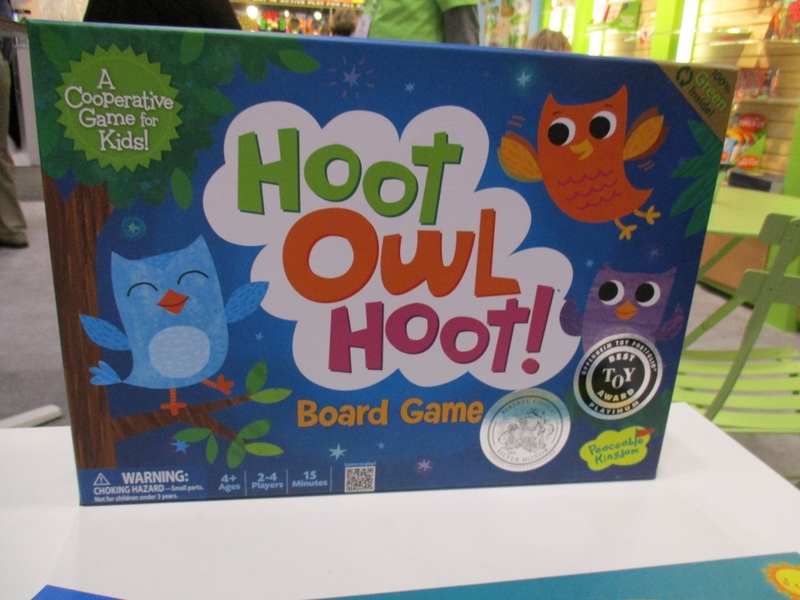 First up is a game that is sure to be a winner with a wide age range of kids. And it is the giveaway for the Hot Toys list. See the giveaway details at the end of the post. When I showed my review sample to my 8 year old grandson he was all excited to be getting Boom Blast Stix and said he had seen it on commercials a hundred times. It is a simple stacking game in which the lightweight triangular shaped “stix” come apart and blast everywhere causing lots of screams and laughter. We played it for an hour and we were both in stitches but never bored. No batteries, no electronics and low price – what more do you want? See my full review here. By Moose Toys. Calling all Star Wars fans – even pre-school age fans. This Mr. Potato Head toy merges classic toy and iconic theme. It comes in a carrying case and there are other favorite Star Wars characters so choose your grandchild’s favorite. Includes a 5.5 inch body, body parts and accessories. 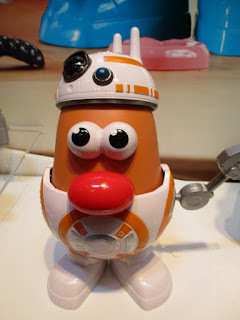 Play along with your grandchild and remember when you stuck the parts into a real potato. Yes, I remember that. By Playskool. 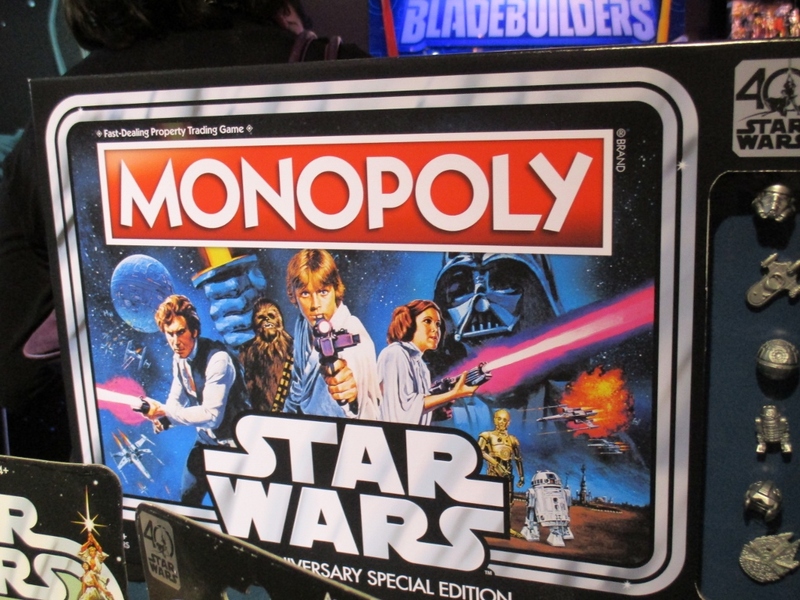 For the older Star Wars and monopoly fans this is the perfect gift. The 40th anniversary edition features Star Wars themed player pieces, classic scenes, iconic ships, force cards and more. Truly a collectors edition. 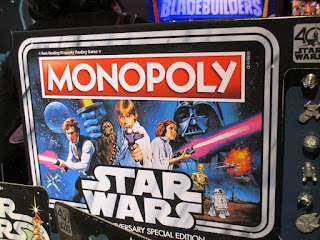 By Hasbro. 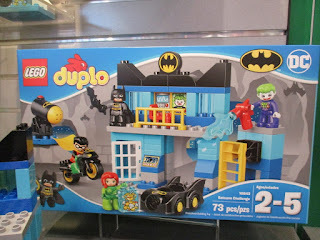 Every pre-schooler loves DUPLO blocks – especially the themed sets, and Batman is a favorite theme. This set is right-sized for pre-schoolers and it includes 4 character figures – Batman, Robin, Joker and Poison Ivy. The set has a batcave with a jail, a batmobile and a batcycle. 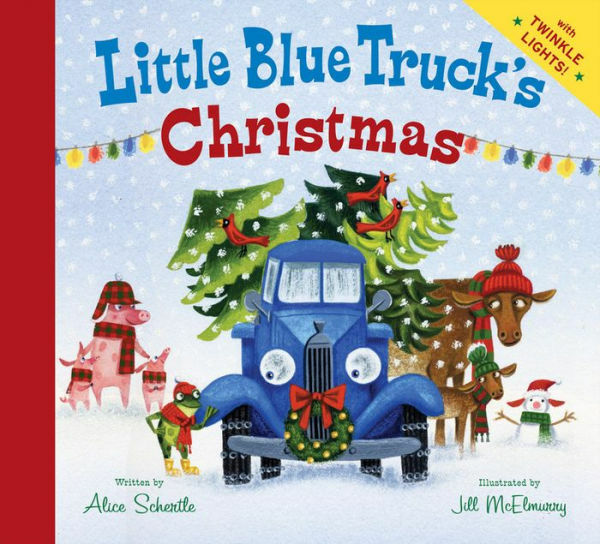 With 73 pieces in all, it has great play value for a pre-schooler….and a grandparent may want to join in. Grandparents – you can’t miss with this one. By LEGO. This is a huge nostalgic toy as Teddy Ruxpin was a best seller in the 80s. Of course the 2017 version has bluetooth, LCD eyes, touch sensors and a hard drive. It is the confluence of two generations. Teddy Ruxpin is 14 inches tall – big but an enjoyable size for a pre-schooler. He is pre-loaded with 3 stories and 7 songs. Of course there is an app and with the Bluetooth technology you can download additional stories and songs. Teddy Ruxpin is pricey but it is on many major Hot Toy lists and TV holiday guides. It will be heavily marketed and so it is likely to be on many wish lists. Since many parents will remember this toy fondly that will add to its popularity. Teddy Ruxpin is likely to sell out early, so if you are interested, don’t wait. By Wicked Cool Toys. Doc McStuffins remains a hot TV show for the pre-school crowd. This is the newest large playset and it is on many Hot Toy lists. The center features a cradle that rocks for the baby’s doctor visit and all sorts of equipment. Some of the items included are a portable patient diagnostic laptop, stethoscope (with light and sound), scale and other nursery tools. It is stand up play size for a pre-schooler. It will be on many a 3-4 year old wish lists. By Just Play. 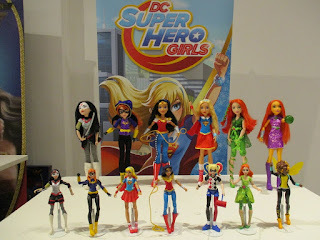 This a great collection of female superhero action figures that are sure to be a hit with the girls. It won the best new action figure award at Toy Fair and may be heavily marketed on kids super hero shows this holiday season. You can buy them separately, and as a 3 pack, 6 pack, and 9 pack. There are 6 inch action figures and 12 inch dolls. Characters include Wonder Woman, Supergirl, Batgirl, Hawkgirl, Starfire, Bumble Bee, Harley Quinn and Posion Ivy. Hawkgirl is Latina and this may make it of special interest to some families. Never heard of most of these? Grandparents – check with Mom to find out who the favorites are. By Mattel. Never heard of Ben 10? Ben is a popular Cartoon Network character who explores the quirkier side of things in the alien underground where there are enemies and a mysterious hunter is hot on his trail. 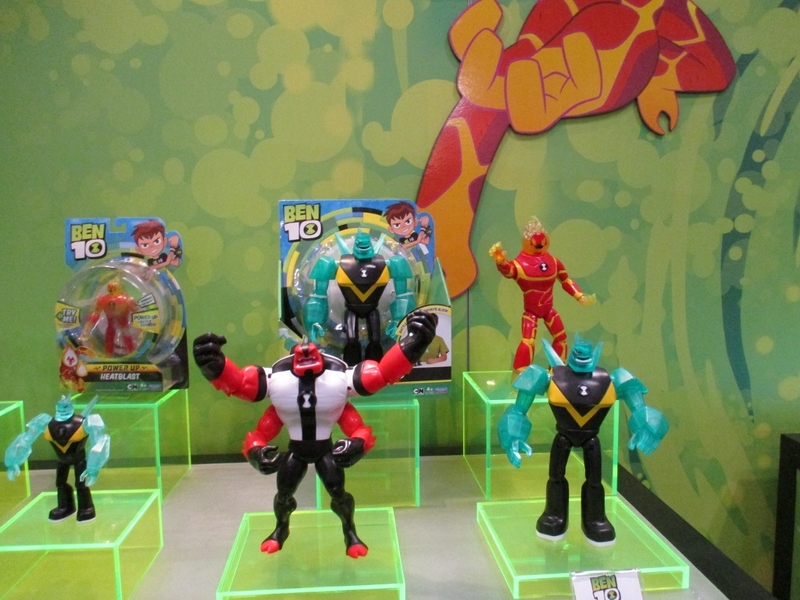 It is a popular show and these new action figures will be a favorite this year. By Playmates. 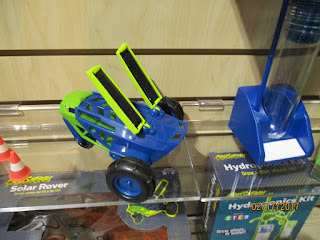 Hexbug fans - and there are many - will love the nano space discovery line. This is the largest of the three sets in the line. Go for it. It is a great toy that grandparents will also enjoy playing with their grandchildren. It comes with 2 nanos and of course you can use your own hexbug nanos with it. Space features include the nano rocket ship, rotating gravity trainor, an air lock passage and an ion chamber. Can't you just see your nano hexbugs navigating all that? Lots of details and places for the nanos to scurry off too. All five star reviews at Amazon. Older kids love the bigger more challenging LEGO sets and many of them are based on movie or TV character themes. 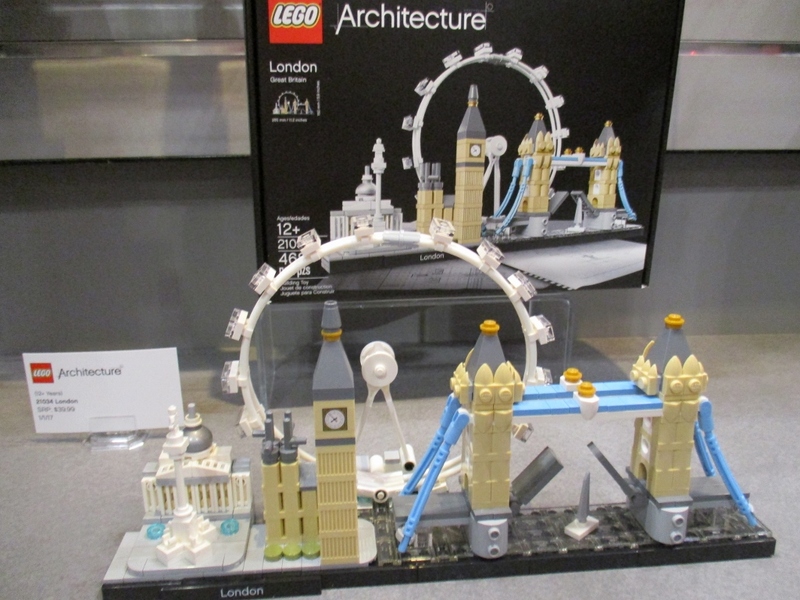 However, this Architecture themed line from LEGO should be very popular . It features iconic building scenes from around the world including London, New York and Chicago skylines, Eiffel tower, US Capitol Building, Buckingham Palace and more. Most are in the 300 – 1000 piece range. Since there is no licensing cost as there is with movie characters they are better priced than many LEGO sets. 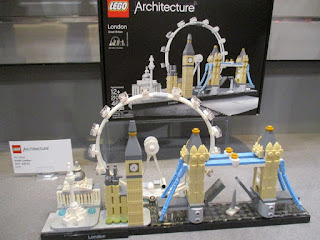 LEGO is promoting the architecture line and a LEGO Architecture set may be a gift on a grandchild’s list that you will love to give. There are many adults who enjoy LEGOs too and this will be a definite winner with them also. One lucky winner will receive a Boom, Blast Stix game. You can have two entries by doing both. Deadline to enter: November 15, 2017 at midnight. This item can be sent to US addresses only. You can shop early and the easy way at Amazon by clicking on the icons below. Or beginning checking the sales to see if there is a good buy on any of your favorites.